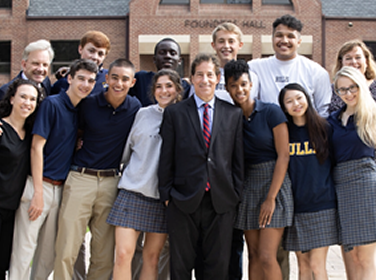 A Septmber visit to Bullis Campus from Rep. Jamie Raskin was featured on the cover of Potomac Lifestyle Magazine's November issue. The new lifestyle publication is free and is delivered to single-family homes in the Greater-Potomac area. It also is available at local Walgreens and other stores.